General Contractor that specializes in site development, utility, and green infrastructure for the Industrial, Oil & Gas, Parks and Recreation, Energy Markets, and All Government Levels. 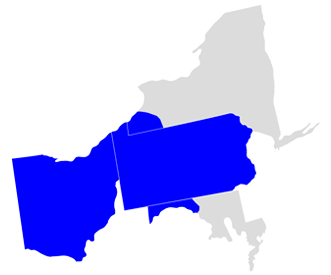 the western Pennsylvania and Ohio regions for two generations. As a second generation company, we continue to maintain existing customer relationships and develop new relationships based on our foundational principals of Safety, Integrity, Trust, Exceptional Performance, and Quality. As a proven leader in executing value-added construction services, Stefanik’s Next Generation Contracting Company pledges to exceed the expectations of both our existing and new clients through exceptional performance, while never jeopardizing our core value of having zero tolerance for operating in any unsafe work environment. Safety is our top priority at Stefanik’s Next Generation Contracting Co.
At Stefanik’s Next Generation Contracting Company, our employees and our clients have grown to be family, which is why our most important core value is the safety of our employees, our clients, and the environment. Practicing safe operations is the foundation for the safety and success of our employees and the company. Our crews practice and continually train on OSHA-approved methods of excavation, trench safety, and confined space to ensure complete safety throughout the whole installation process. Simply put, Stefanik’s Next Generation Contracting specializes in dirt—everything that ranges between digging it, moving it, prepping it, and grading it. From initial survey through paving and concrete work, we handle all phases of the site development process. Our full range of services means you’ll benefit from the ease and cost savings of working with one contractor for your total site package. Utility installation and repair is one of our specialties. Our professional crews complete all facets of underground utility work—from full installation and repair of major water, storm sewer, and sewer mains to water, storm sewer, and sewer taps for residential and commercial sites. Copyright © 2017 Stefanik’s Next Generation Contracting Company. All Rights Reserved. Web Design by Higher Images, Inc.